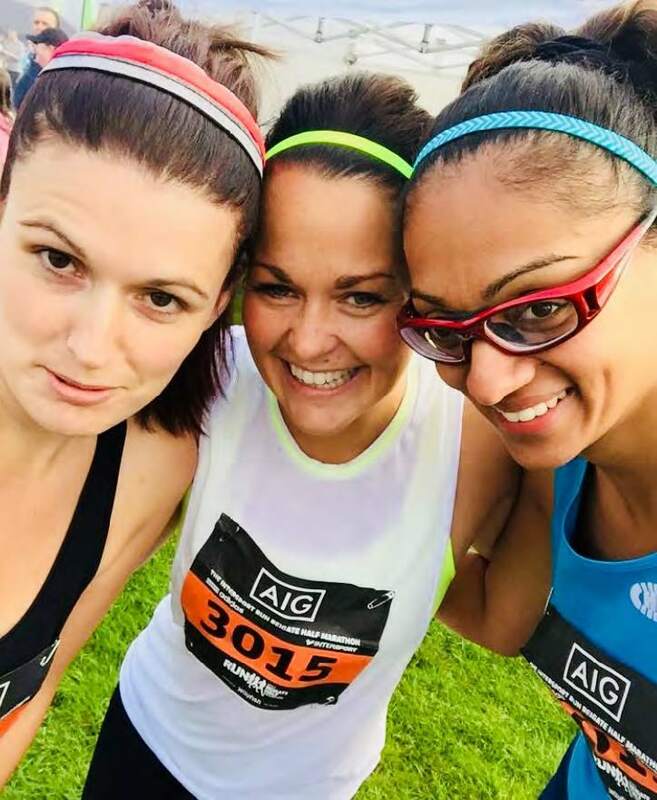 Some of you may have heard that myself, Jade McIntrye, (Sol’s mummy in Oaks Class) and Kiran Gibbons (mummy to Kian, Rohan and Arun) have taken on the enormous challenge of this year’s London Marathon on April 22nd. Not only is the training proving to be testing mentally and physically (as well as finding the time to get out there as busy mums of three children each! ), we have to raise money for charity. 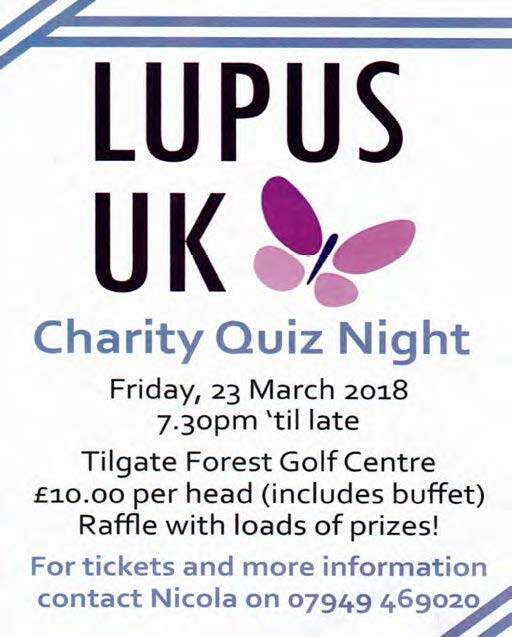 Our chosen charity is Lupus UK: a very worthwhile cause and we are hoping to raise nearly £4000 as well as awareness about this very painful and, at the moment, incurable disease. On Friday 23rd March (the last day of term) we will be holding an Easter cake sale in the meadow where you can come along and buy some yummy treats and have a cup of tea. 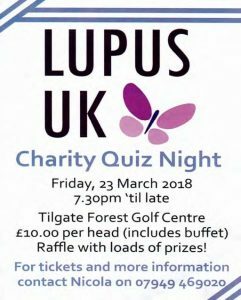 That same evening, we are holding a charity Quiz night at Tilgate Forest Golf club with a raffle. We would love to see some familiar faces there – see the attached flyer for details. We are still in the process of collecting raffle prizes; a big thank you to all of you that have been so generous already! Any more raffle donations would be very gratefully received! Thank you for taking the time to read this! The link for our just giving page is attached.